Rather than inundate readers I’ve tried to be selective in which places we visit, balancing those that are a bit unusual with the ones most tourist will visit. Today’s choices were “Konflicting” and caused a kerfuffle in my decision-making, so it’s a quick “plug” for each of them. 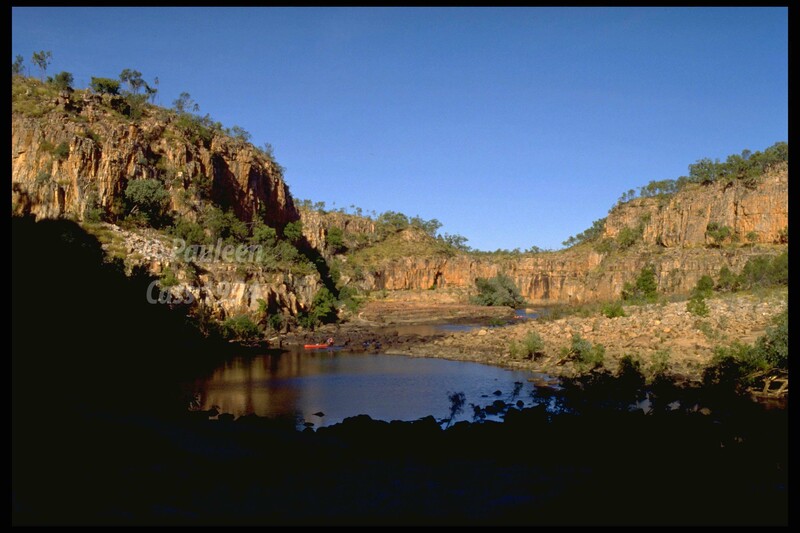 Katherine Gorge is one of the Territory’s iconic sights. The gorge winds through rocky cliffs and progressively narrows. Adventurous travellers can opt to canoe the gorge, and there are levels of access to the famous cruises as well, depending on the individual’s fitness and mobility. Even if you can’t clamber over the rocks that lead between the different levels you will still enjoy your peaceful outing. Energetic bushwalkers also love the gorge and Nitmiluk national park as there are some great bush walks there….or so I’m told…don’t look to me for advice on that, I’m afraid! It gets very hot on those rocks, whatever the season, so make sure you, “slip, slop, slap” to use one of our iconic Aussie-isms, ie slip on a shirt, slop on some sun cream and slap on a hat”. Katherine itself is a mixed bag and many visitors find it rather confronting at times. You’d be wise to stay away from the pubs or you might wind up with a knuckle sandwich. Katherine’s about 300kms south of Darwin. Alternatively if you’re heading north, there’s another three hour drive ahead of you (unless it’s the Dry Season and the highway is inundated with slow-moving caravans –once we counted 100 on that leg of the journey…ugh!!). Unless you’re “head down, bum up” as we say, I suggest you also stop and look at nearby Edith Falls which is a pretty place for a swim and has a pleasant camping area. In fact you may even prefer this to staying in town. Of course if you’ve won the Lotto or want to splash the cash, you might enjoy the new upmarket resort right in the heart of Nitmiluk. 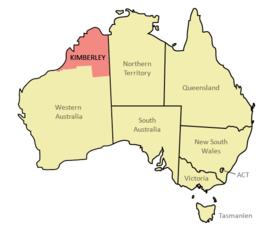 The Kimberley is the vast top corner of Western Australia. 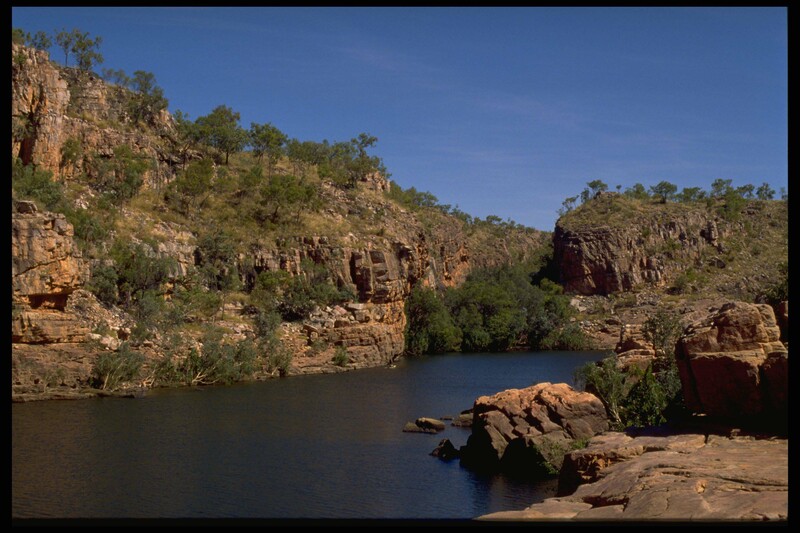 When you cross the NT-WA border you are in the Kimberley and will be notching up the klicks as you travel. It’s spectacular, rugged country with great scenery and wonderful sites to visit, some of which you’ll tour here. 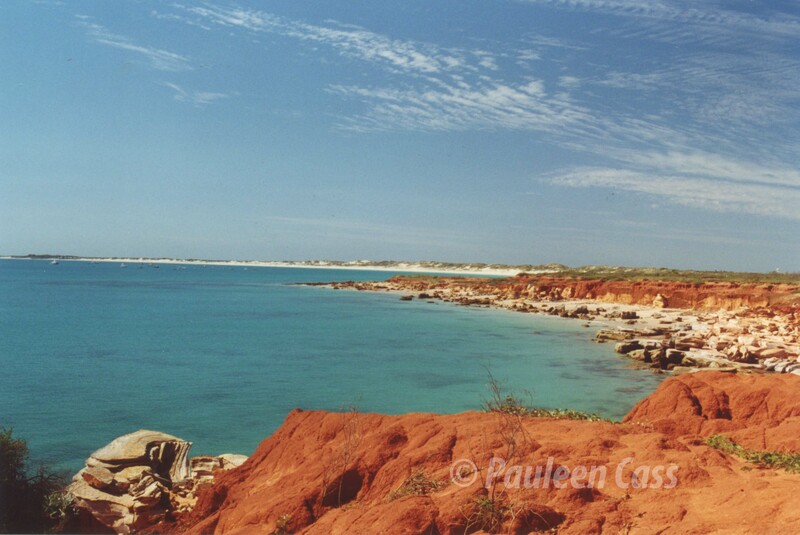 …to the vivid colours of the Kimberley coast at Broome. If you want to take a different route to the Kimberley you can always head out of Katherine on the Buchanan highway then take a left turn heading down the Buntine Highway. 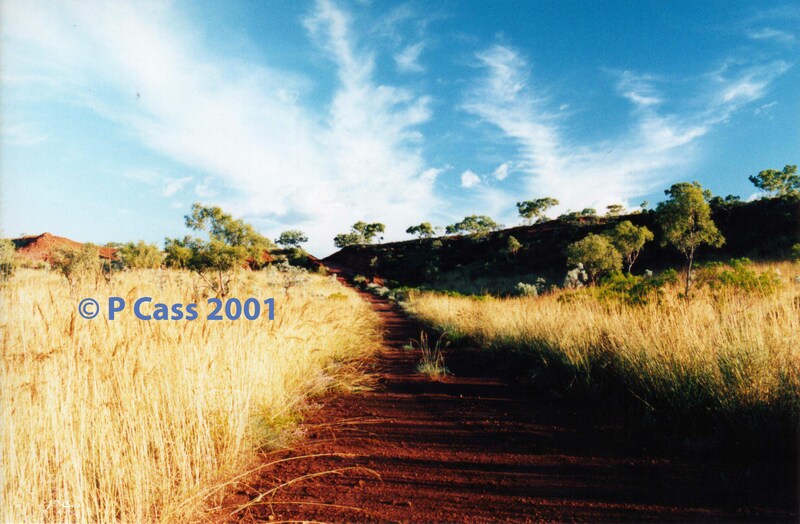 This takes you to Halls Creek via Kalkaringi. Until you reach Kalkaringi the road is bitumen but beyond that it’s unsurfaced and variable depending on when the grader went through last. You can’t overnight at Kalkaringi because it’s an Aboriginal community (with a very famous history for gaining equal pay for Aboriginal stockmen) but you might enjoy visiting their Karungkarni Art gallery (pre-booking is probably a good idea). 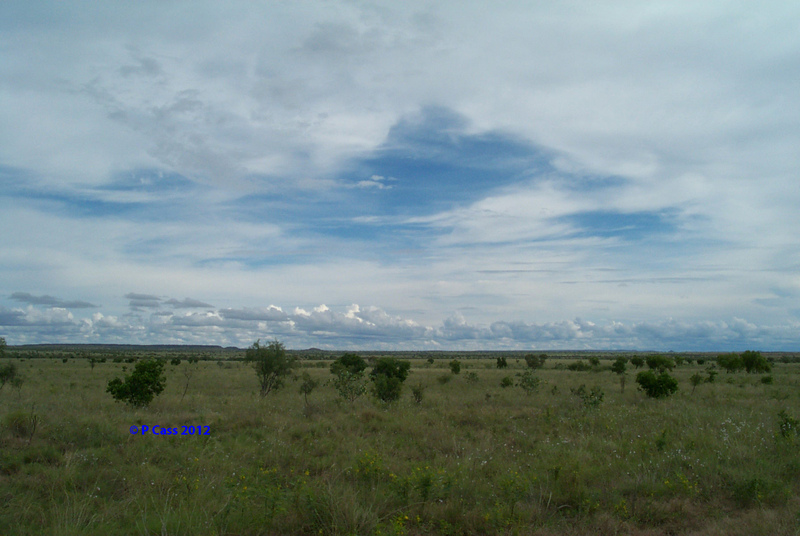 The wide open spaces near Kalkaringi from a “secret squirrel” spot. Here’s a photo of some of their artists at last year’s Indigenous Art Show in Darwin. After the long drive by the time you get to Halls Creek you may well be knackered, unless you choose to camp somewhere along the way. Fuel opportunities are limited so make sure you have sufficient to go the distance. 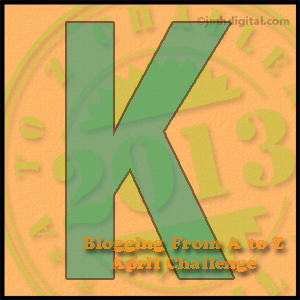 FYI: Don’t forget, there are a couple of maps on my A to Z planning post which will help you to pinpoint where today’s tourist spots are situated. Klicks: short for kilometres, you’ll have done a lot of klicks if you were driving to all my touring spots. While at the Darwin Aboriginal Art Fair last week we got chatting to these lovely Gurindji women on the art stand for Karungkarni Art from Kalkaringi. Our daughter taught at the Kalkaringi school and lived in the community for a number of years and we were lucky enough to visit several times. You can see a little of their country here, here and here. 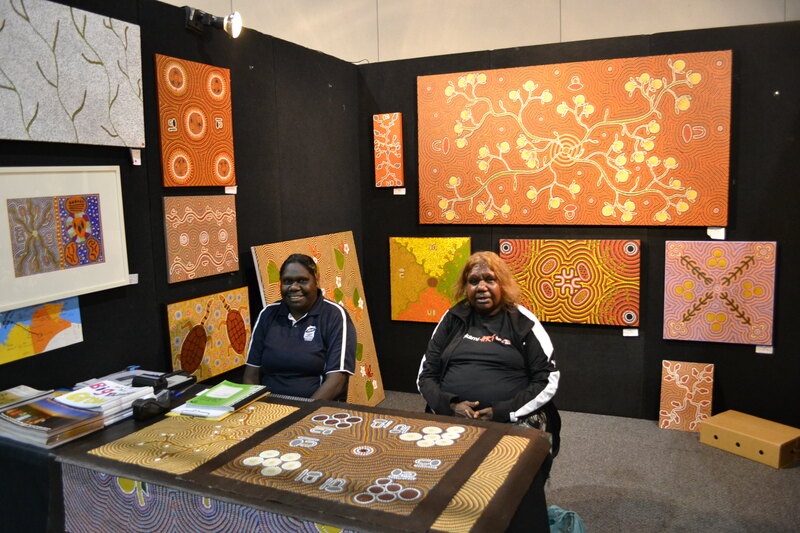 Gurindji women Maree George (left) and Rachael Morris (right) at the Darwin Aboriginal Art Fair 2012. I was given permission to take the ladies’ photograph and show it on my blog: Rachel Morris is the artist who painted that magnificent painting of bush tomatoes on the rear wall. You can’t tell from this picture but much of the painting’s background is comprised of a myriad of dots. The paintings usually represent some aspect of traditional life and cultural heritage, skill and a lot of hard work goes into the paintings. When I googled Rachael Morris’s name I found this video clip of her talking about the Karungkarni Art centre here. 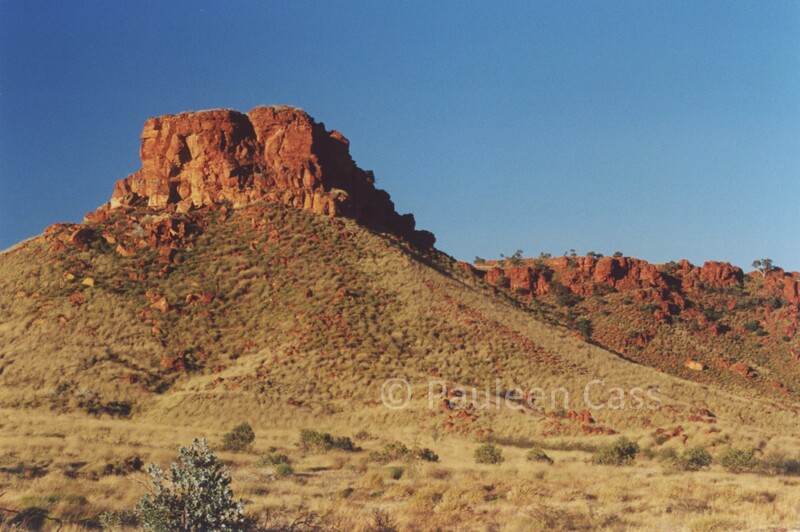 The Guringji people, with their leader Vincent Lingiari, are famous for their role in obtaining equal pay for Aboriginal people as a result of their walk-off from Wave Hill Station on 22 August 1966. When Gough Whitlam came to power they also gained their own land in 1975 at Dagaragu (aka Wattie Creek) near Kalkaringi. You can read more about this pivotal story here. We bought a couple of books for our grandchildren including From Little Things Big Things Grow, based on this story and drawing on the words of the The Paul Kelly song. You might also enjoy this video clip as Sara Storer (another Kalkaringi teacher) and Kev Carmody sing Children of the Gurindji, winner of the Video Clip of the Year at the 40th Country Music Awards of Australia, held at the Tamworth Country Music Festival, 2012. It gives some insight into how teachers also learn from their Indigenous pupils. This was the view from the picnic spot we visited (see yesterday’s post for the drive there). Nothing between you and the horizon except the bush and to the right, the “bright lights” (everything’s relative) of Kalkaringi. 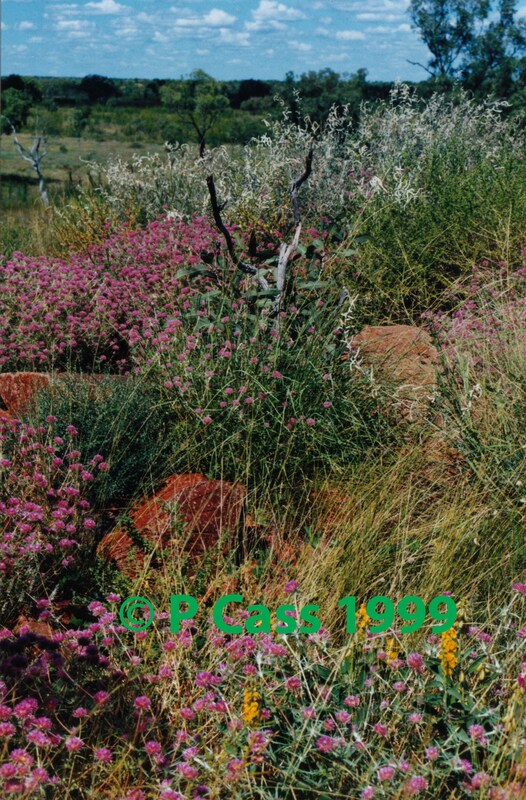 This outback track leads to a picnic spot not far from Kalkaringi. One of those “secret squirrel” tips that you only know about because family lives in a place. As it’s probably on Aboriginal land I’m not sure that anyone can just go up there unless they already have a permit for the area. Tomorrow’s post will show you the view from the top. (I’ve also added another image to yesterday’s wildflowers post). 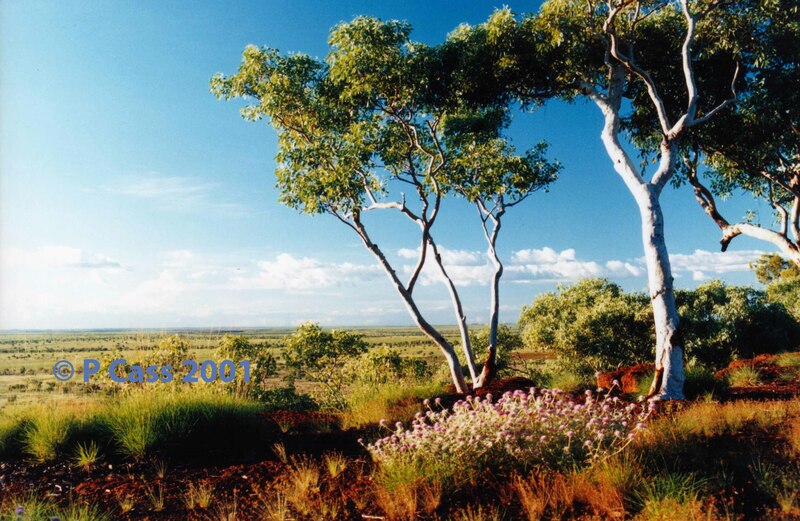 This photo always makes me think of the wide open spaces of the Australian bush and outback. That it turn, makes me think of the Dixie Chicks song of the same name. A bit of an odd connection between Oz and the US, but I guess it is a country song. The photo was taken on the road to Kalkaringi some years ago. 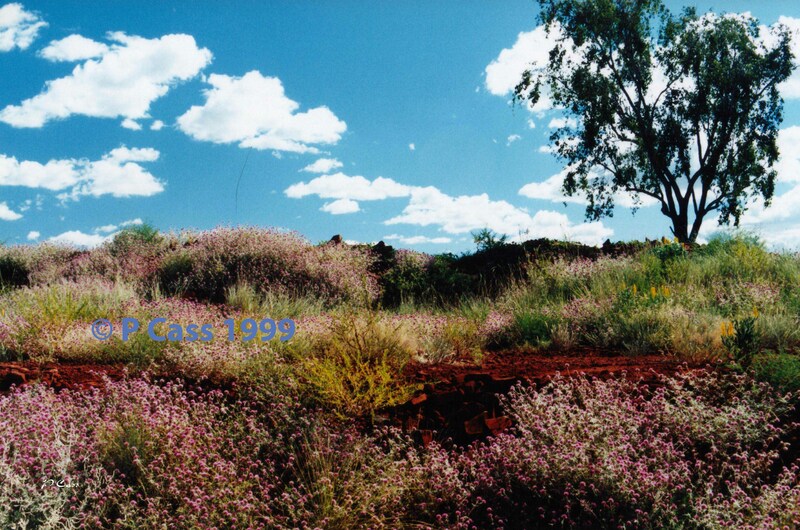 I took this photo some years ago along the Buntine Highway when driving to Kalkaringi to visit my daughter. The colours of the flowers, earth and sky were all so vivid that day. This photographs were not colour enhanced in any way…only the copyright notice has been added.